10,43 € 10.43 tax incl. 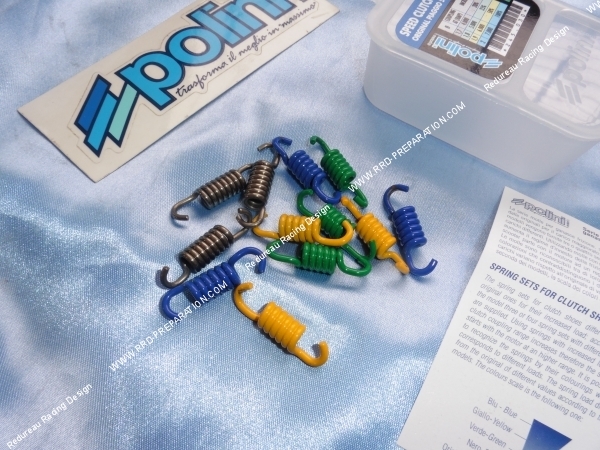 Here is the box of springs POLNI for scooter PIAGGIO, VESPA, GILERA, APRILIA and many others. 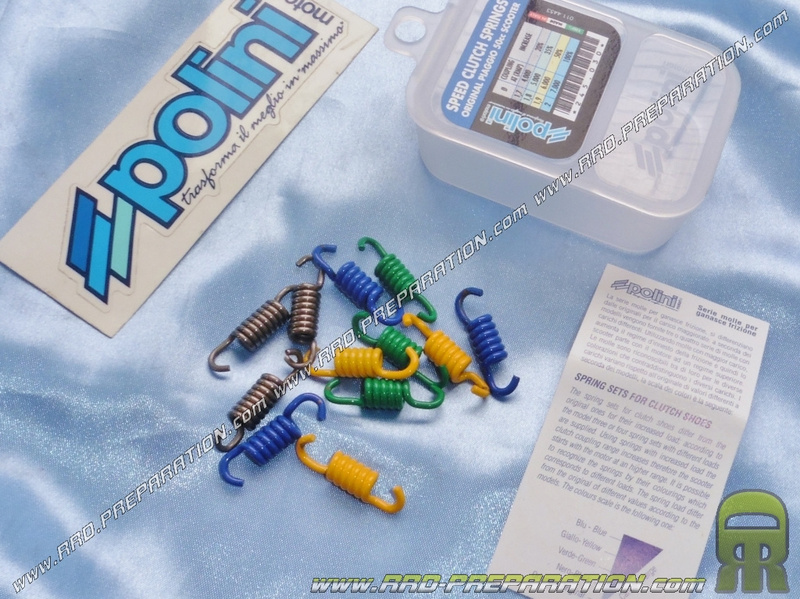 Assortments presented with 4 sets of 3 springs of different range. From black to blue to green and yellow, they will be of formidable efficiency once mounted and adjusted!